Buckingham Churches: Trinity Methodist Episcopal Church | slate river ramblings . . . .
One of the nineteen churches included in Thomas Baldwin’s Gazetteer of the United States (1854) may be Trinity Methodist Episcopal Church (South). 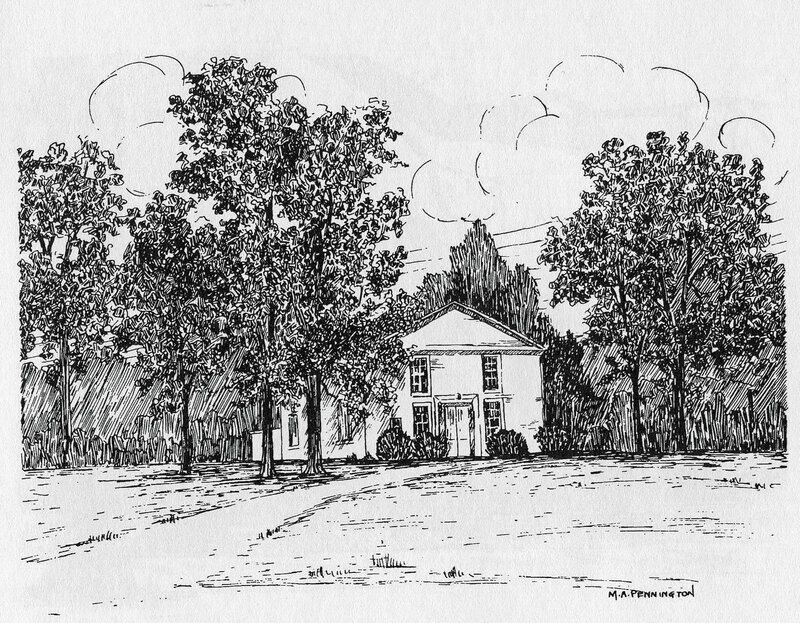 Elizabeth McCraw, in her 1937 survey for the Virginia Historical Inventory, stated that the original building, erected by Charles L. Christian and donated to the Methodist Conference, was built c. 1850. She describes a one-room building, with vestibule. The roof was covered in Buckingham slate and a cemetery was established nearby. George Walton designed and built the church. A side door opened into a closed stairway and led to the gallery which ran “along each side and across the end opposite the pulpit.” Mrs. McCraw envisioned the slaves of Charles L. Christian and others sitting in the gallery. Located at 13463 W. James Anderson Hwy., today an expanded version of Charles L. Christian’s building is known as Trinity United Methodist Church and is part of the Farmville District. Slate River Ramblings: 200th Post | slate river ramblings . . . .